How Does Entertainment Insurance Work? Like all businesses, those that operate in the entertainment industry need insurance to protect them against financial losses. While they require many of the same coverages as other businesses, entertainment companies face some unique risks that require specialized insurance. To ensure they have the coverages they need, entertainment businesses should work with an insurance broker who is familiar with their industry. The entertainment industry is a broad category that includes a wide range of businesses. Here are some examples. Entertainment businesses need liability insurance to protect themselves against third-party claims. Whether they are video producers, photographers, or musicians, businesses in the entertainment industry need general liability insurance. It protects businesses from third-party claims for bodily injury, property damage or personal and advertising injury. Most businesses will need this coverage in order to rent a facility, film on a location, or perform work for others. When shopping for general liability coverage, businesses should obtain a list of the exclusions that will be added to their policy. They should look for exclusions (such as liquor liability or injury to performers) that could create coverage gaps. One gap to watch out for is the “entertainment industry” exclusion, which is often added to liability policies. This exclusion eliminates coverage for personal and advertising injury that arises out of a wide range of activities associated with entertainment. When this exclusion is added, a policy may provide little (if any) coverage for personal and advertising injury claims. Building or location owners typically require users of their facilities to provide a certificate of liability insurance. These documents are often needed at the last minute and during non-traditional business hours. When choosing an insurance broker, businesses should ensure that the brokerage they select can provide certificates at any hour, seven days a week. General liability policies exclude damage to property of others in the insured’s care, custody or control. Businesses can fill this coverage gap by purchasing third-party property damage coverage. It covers claims for accidental damage to property (such as a film location) owned by someone else. Film or video producers need producers’ errors and omissions (E&O) insurance. This coverage is essentially media liability insurance for producers. (A similar coverage is available for distributors.) It covers third-party claims alleging unauthorized use of names, titles, ideas, plots, musical compositions, format, and other specified acts. It also covers claims based on intentional torts like libel, slander or defamation, and invasion of privacy. A producers E&O policy may be short-term, covering a single production or long-term, covering a series of productions. Policies may be claims-made or occurrence-based. Many entertainment businesses rent venues for special events. They need liability insurance for the duration of the event, which is often only a day or two. To address this need, some facility owners purchase a Tenants’ and Users’ Liability Insurance Policy (TULIP). The policy protects a property owner (such as a university) that frequently rents out its facilities to others. It also covers businesses that rent the facility for a short-term event. Facility users pay a premium that reflects the nature and duration of the event. Entertainment businesses can protect themselves against physical loss or damage to property they own or use by purchasing commercial property insurance. Many businesses in the entertainment industry own or rent equipment that they transport from job to job. Examples are cameras, lights, recording and sound equipment, sets, props, wardrobe, and musical instruments. Moveable items such as these can be insured under an equipment floater. Equipment policies vary widely. Some cover a short term while others apply on an annual basis. Some cover damage caused by named perils only while others apply on an all-risk basis. Some policies cover scheduled items only while others provide blanket coverage. When buying a floater, it is important to ensure that the coverage territory includes all countries where the equipment will be situated. This coverage is unique to the entertainment industry and is designed for production companies. 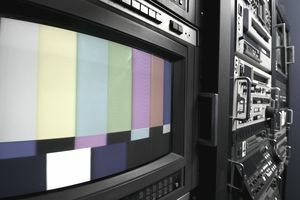 It typically covers direct physical loss or damage to raw film or videotape, exposed film (developed or undeveloped), software and related materials used to generate computer images, soundtracks, tapes, and other items by any peril not specifically excluded. Losses insured under Faulty Stock, Camera, and Processing Coverage aren’t covered. Also designed for production companies, this coverage applies to the same types of property insured under Negative, Film, and Videotape coverage. However, it covers loss or damage caused by a limited group of perils. These include fogging or the use of faulty materials, faulty sound equipment, faulty development, or faulty processing, or accidental erasure. Here are some other types of insurance an entertainment business might need. Business Auto. Covers third-party liability for bodily injury or property damage to others caused by auto accidents. Should include non-owned auto and hired auto liability coverages. Workers Compensation. Businesses that employ workers may need to purchase workers compensation insurance. Cast Insurance. Covers extra expenses incurred when illness, death, or disability of a cast member delays, interrupts or cancels filming. What Do Those Terms Mean in Your Policy? What is Corporate-Owned Life (Dead Peasant) Insurance?